With holiday parties on the horizon (I have my first one coming up in just a few weeks if you can believe it), I've recently begun gathering outfit inspiration and planning what to wear to each event. For me, the dress I'm wearing typically tends to be the focal piece but I believe it is actually the accessories that can make or break the look. I've gotten a lot of wear out of my Anjolee eternity band (seen here) so I popped over to their website to see what they might have in the way of occasion-worthy jewelry. Let's just say I was not disappointed! 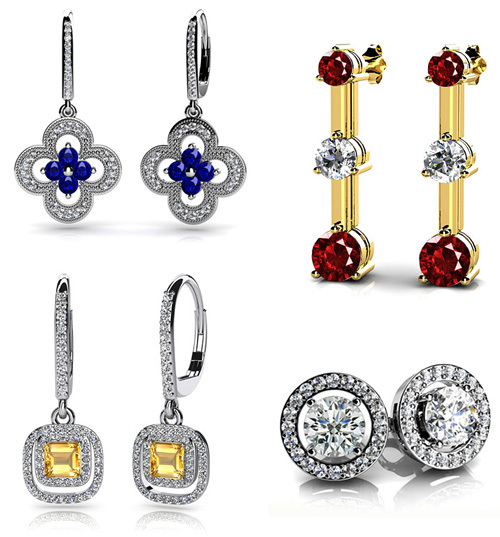 I was particularly drawn to Anjolee's selection of diamond earrings which come in all sorts of styles and, in many cases, can be customized by metal and gemstone. This means you can even match your jewelry to your dress if you are so inclined. 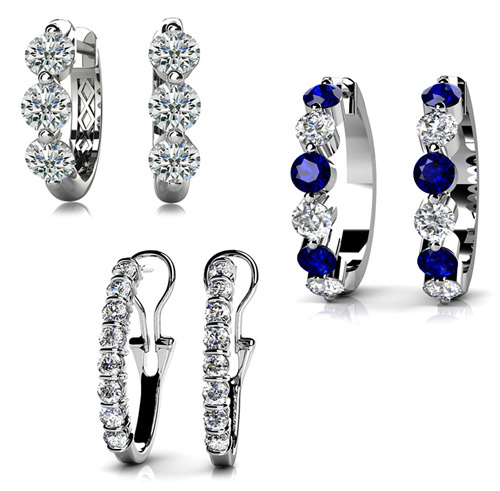 The various drop earrings and pavé studs available are absolutely stunning, as well as their gorgeous diamond hoop earrings which also caught my eye. I have never been much of a hoop earring girl, tending to favour super dangly baubles when getting dressed up, but these are just so elegant I think I might have to convert. Besides, who can say "no" to a little sparkle? Disclaimer: This is a sponsored post but all opinions, as always, are my own. They are all amazing.The rings are fab! Beautiful stuff, i love those stud earrings! Me too! I think they're my favourite of the bunch. Gorgeous dahling! Love the studs. Definitely a classic. I can't believe I don't own a pair! Love to have your another comments. i post some mored. Absolutely love these! Really like the hoops with the sapphires. The gold drop earrings are pretty!